Bracelets buying guide : what are the best types of bracelets for you? It’s great to have different types of bracelets, especially when you want to draw attention to your wrist and exhibit elegance and style. However, there are many types of bracelets and you need to know a little bit about each of them in order to know how to buy bracelets online. Read our bracelets for women guide to discover a little bit about bracelet types, styling and cleaning them. At Ana Luisa online jewelry shop you will find a great variety of bangles, chain bracelets and other elegant bracelet types. This is why we have prepared a comprehensive buying guide for you so that you can understand the difference between various bracelet styles. Read further to discover all the different types of bracelets according to their styles and materials. When it comes to all the types of bracelets, there are many beautiful styles you can find at a bracelet shop. By knowing the difference between them you know what to buy and how to complete your jewelry box. So, without further ado, here are the main styles of trendy bracelets to look for when you buy bracelets online. These beautiful bracelets have a circular shape and an inflexible structure. Open bangles, on the other hand, are bangles that feature a gap on the wrist part. Usually, these types of bracelets are thin and can be simple or ornate. 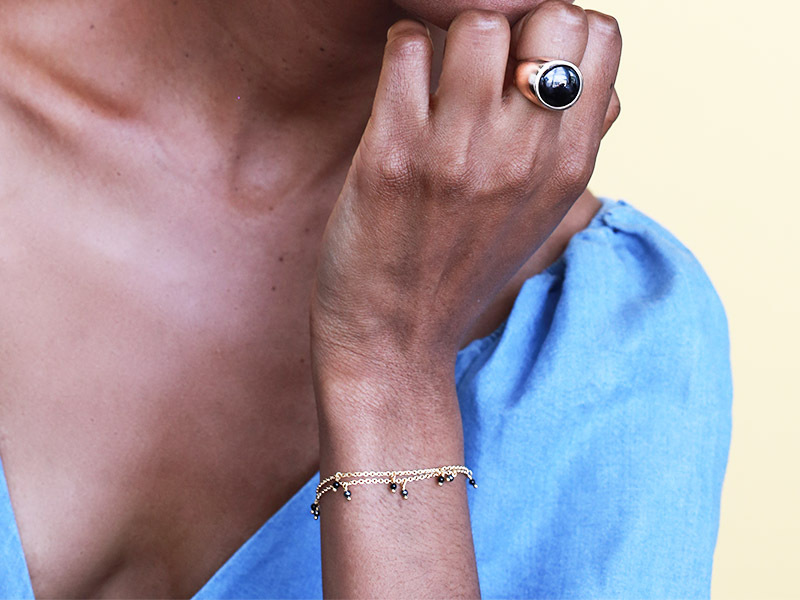 When you buy bracelets online look carefully to see if you are getting a classic or an open bangle. 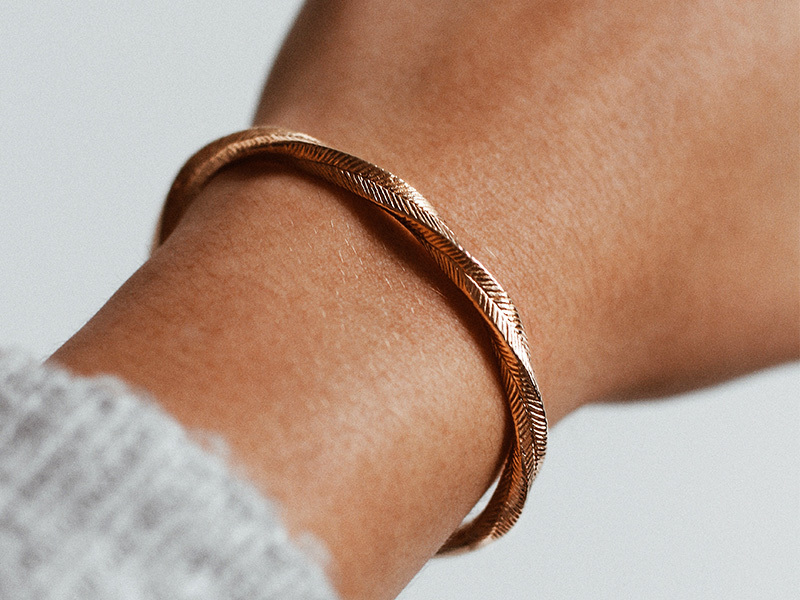 One of the coolest types of bracelets you find in a bracelet shop is the cuff. They resemble open bangles, but are, usually wider. They are also chunkier and, as opposed to bangles, some cuff bracelets may be adjustable. When you buy bracelets online make sure to notice if the cuff is adjustable or not. These types of bracelets feature beads made of gemstones or other materials and you can’t notice the chain holding them together. The beads can be precious or semi precious stones, glass, plastic or other metals. You will find all sorts of beaded bracelets when you buy bracelets online, but take the time to read about the beads. You may know them by the name link bracelets but these types of bracelets are the most versatile ones. They feature a metal chain with a clasp that helps you secure the bracelet in place. Chain bracelets can have different styles depending on the chain type and this is why you will discover many styles at a bracelet shop. Read this buying guide to find out more about chain bracelets. You are going to love these types of bracelets because they are adjustable. With the help of a special closure, slider bracelets can fit any wrist size, while the extra chain piece will simply hang elegantly. If you decide to buy bracelets online, you will surely discover some interesting sliders. As the name suggests it, these types of bracelets feature charms, either personal ones or following a certain theme. The beauty of the charm bracelet is that you can buy one from the bracelet shop or create one by yourself using a link bracelet and various charms. When you buy bracelets online you can also get some charms. Elegant and with a very specific inline chain with gemstones, the tennis bracelets are classy and stylish. They are more appropriate for formal occasions and the gemstones are usually diamonds or clear crystals. As jewelry creation has evolved, so have different types of bracelets. You can buy bracelets online made of many materials, from precious metals to plastic, textile and wood. The material of the bracelet is very important when it comes to determining its price. 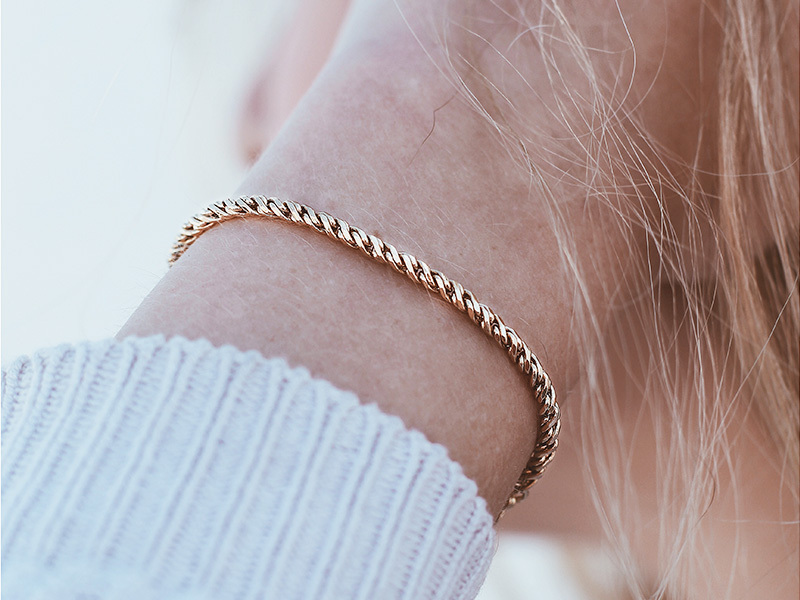 From gold bangles to gold chain and cuff bracelets, there are a lot of types of bracelets made of gold. As you know, gold is a very soft metal so, usually, you will buy not pure gold, but an alloy. The gold purity in the alloy will range from 10k to 22k and so will the price. You should know, though, that the more gold a jewelry piece has, the more fragile it is. Your gold bracelets can have different colors as well. 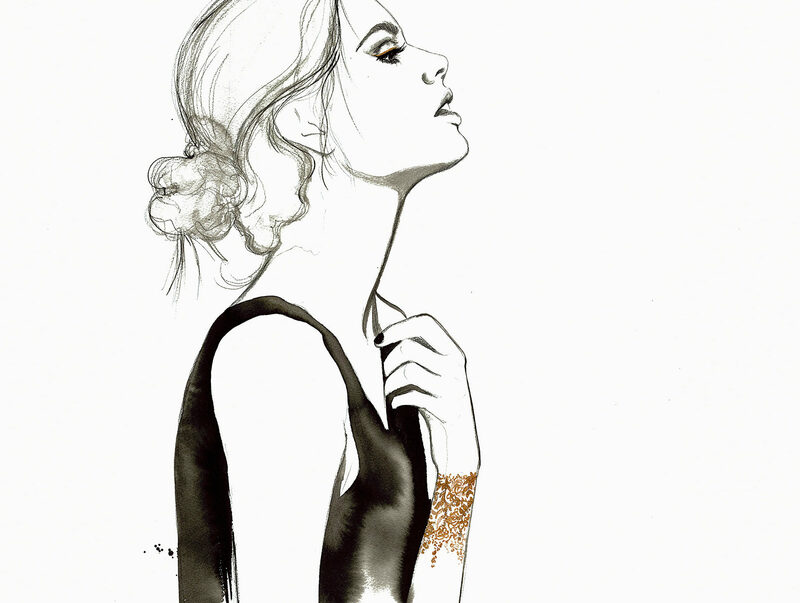 At a bracelet shop you will discover yellow gold, white gold or even rose gold. 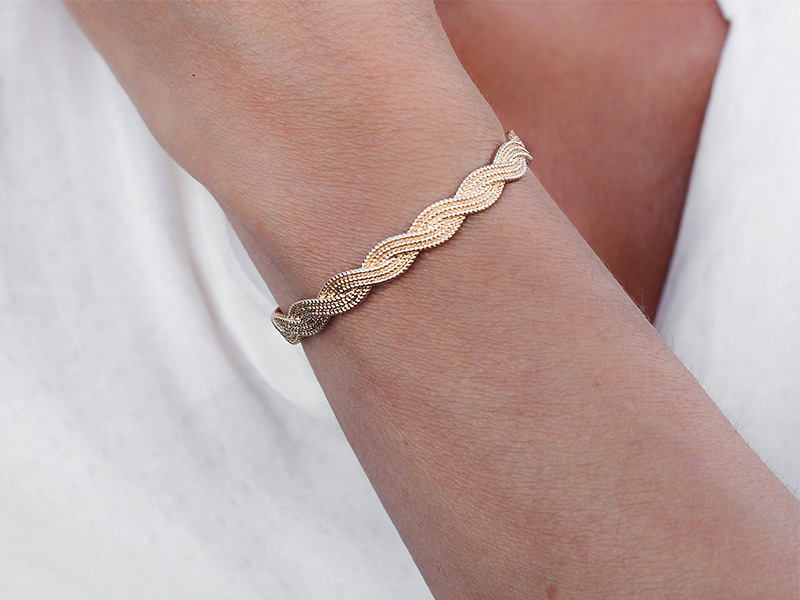 The rose gold types of bracelets are very popular at the moment so it’s a great idea to own some. To find out more about gold bangles, read this article. When a brass bracelet, for example, has a thin layer of gold covering it, it means that you have a gold plated bracelet. In this category you will find gold plated bracelets, gold filled bracelets or vermeil bracelets. The difference between these types of bracelets is that gold filled ones have a thicker layer of gold than gold plated ones. Vermeil, on the other hand, means that the metal underneath the gold layer is silver. When you buy bracelets online read about the type of gold plating they have. 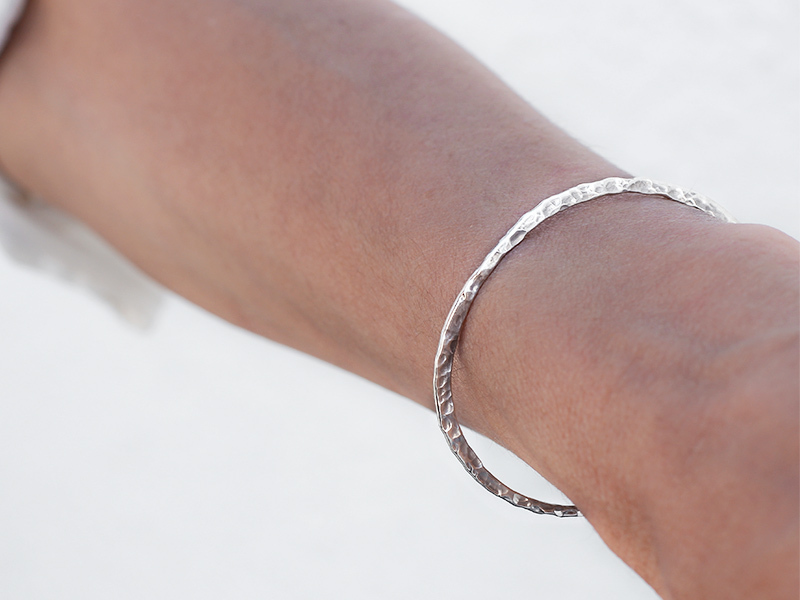 Silver bracelets are especially beautiful and easy to match. As opposed to stainless steel ones, they can tarnish. However, you can remove the tarnish easily using a special solution you will find at a bracelet shop. 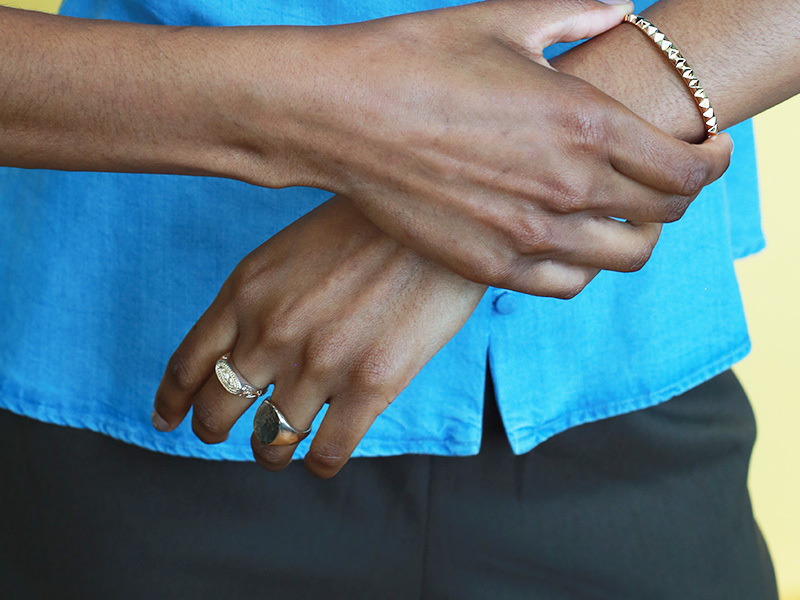 Stainless steel bracelets are the types of bracelets you want to wear every single day. They are durable, don’t scratch easily and don’t tarnish. You can buy bracelets online with different finishes to get textured looks. Platinum is a very elegant metal and one of the most expensive ones. Platinum bracelets usually feature gemstones and are great for formal occasions. Bohemian, cool and easy to accessorize, copper and brass bracelets have beautiful textures and designs. Just like silver, copper can tarnish but you can restore them using a special solution. 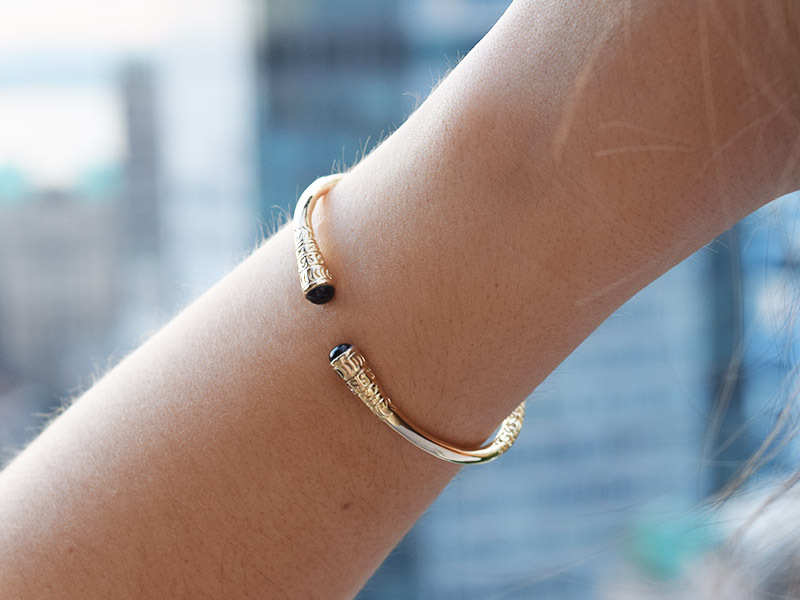 Brass bracelets resemble gold and have a unique shine. Other metals for different types of bracelets include titanium, wood, plastic or even textile. Friendship style bracelets are usually textile and ideal to offer as presents to dear friends. When you buy bracelets online you will discover many interesting styles. These elegant and classy bracelets feature precious or semi precious stones. Almost any bracelet style can have gemstones, including the bangle. With gemstone bracelets, it is very important to clean them properly and protect the stones. What better way to celebrate an important occasion such as a promotion or a graduation than by giving her a gold-plated bracelet? This type of bracelet is the perfect gift for one of these important occasions. 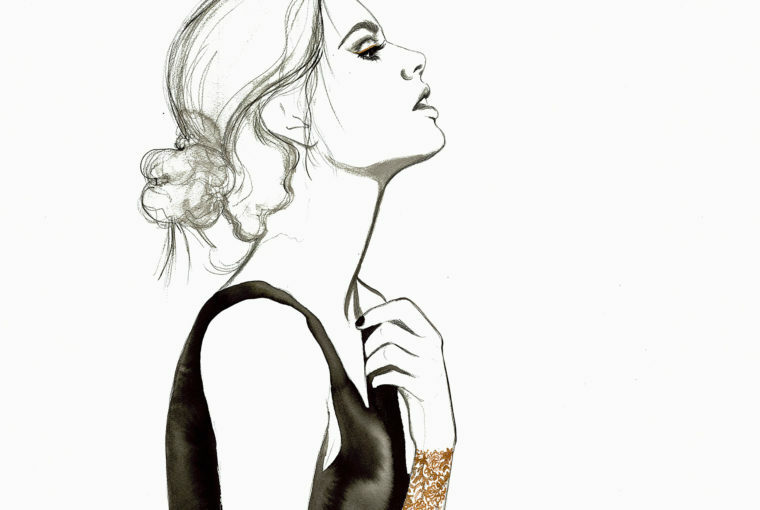 In addition to this, bracelets can add style and make a dress stand out. If you are thinking to buy bracelets online as birthday presents, you should buy a bangle or several bangles to stack them up. It is important to find the right type of bracelet depending on the style and taste of the other person. You can ask some check-questions to determine what type of bracelet they might like. The other person must be able to fit the bracelets to their outfit as well, so the color and texture of the bracelet are also very important. For more jewelry information, read our other articles and guides as well. Click this link to view Ana Luisa’s Textured Bangles collection and get unique designer bracelets are fair prices.